Devils Tor – Grid ref: SX 596796 Height: 549m a.s.l. Devils Tor does little to inspire its namesakes presence. 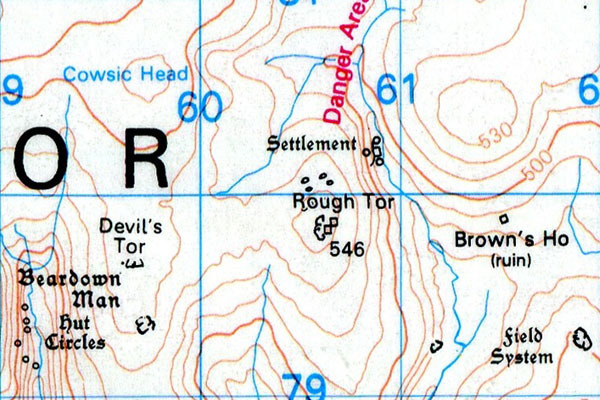 Dinger Tor – Grid ref: SX 586881 – Height 550m a.s.l. Dinger Tor is part of High Willhays and Yes Tor ridge. It stands approximately 2 metres in height. Doe Tor – Grid ref: SX 542848 Height: 425m a.s.l. 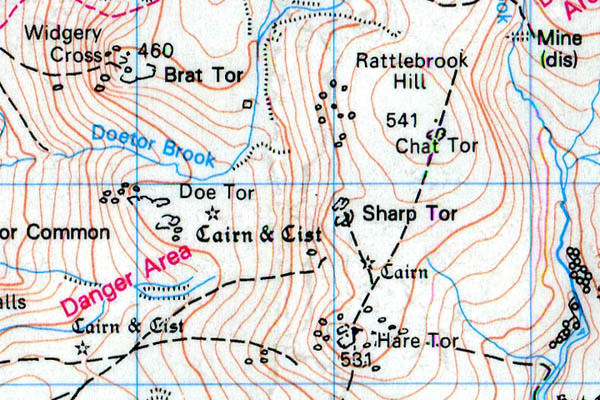 Doe Tor is located on Bagtor Down. 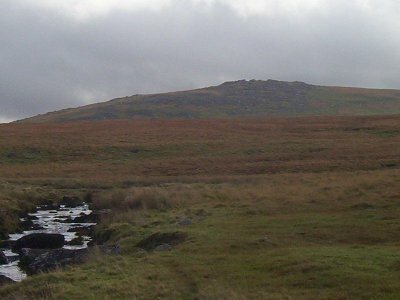 It rather unimpressively sits below Sharp Tor (nw) on a low plateau that is often damp. Check live-firing dates and times on the Willsworthy range before visiting this tor. Down Tor – Grid ref: SX 580694 – Height 366m a.s.l. 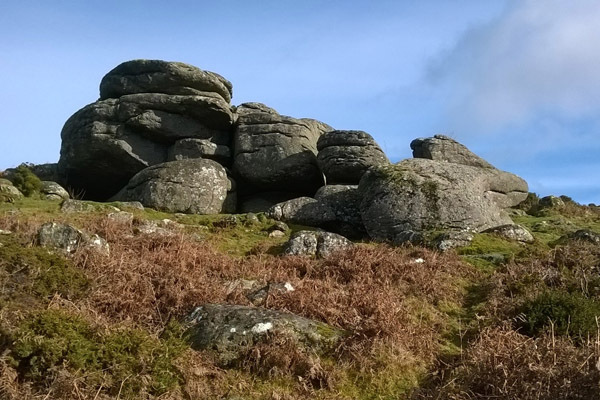 Down Tor is known for some quality bouldering, as per Combshead Tor area. Easdon Tor – Grid ref: SX 729823 Height: 439m a.s.l. Easdon Tor, high on the hill is unusually countered by it’s grander cousin, namely Whooping Rock. These lower rocks have some good bouldering, including a local classic Easdon Slab F5a. Easdon Tor sits in it’s own area of access land, separated by private farm land from the rest of Dartmoor. 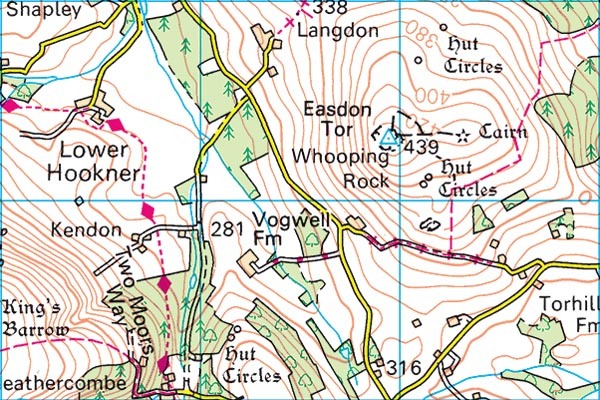 East Tor – Grid ref: SX 534898 – Height 270m a.s.l. 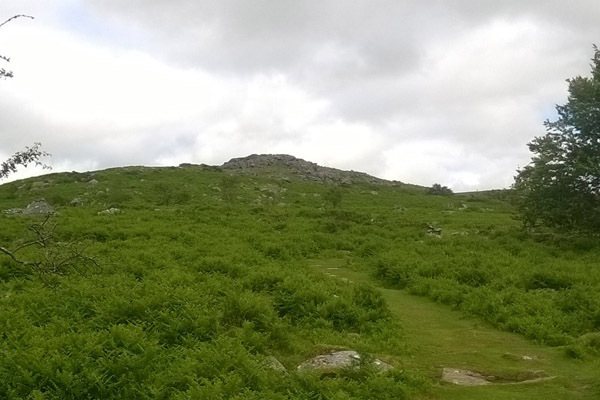 East Tor is located along the Granite Way on the far western fringe of Dartmoor on the lower slopes of Sourton Tors. East Mill Tor – Grid ref: SX 599899 Height: 513m a.s.l. Eastern Tor – Grid ref: SX 584666 – Height 333m a.s.l. 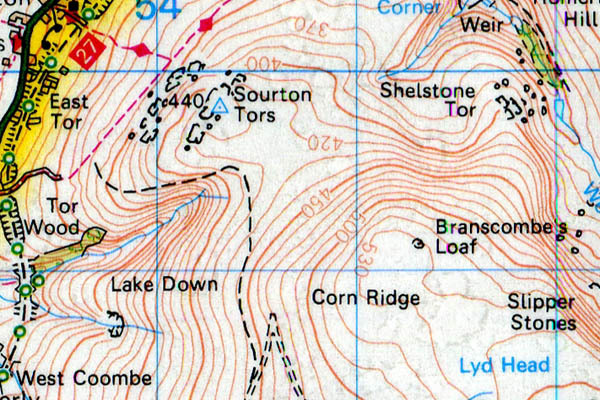 This tor is quite beautiful in surroundings but hard to explain as to its’ exact location therefore the grid reference is read from the spot height 333m a.s.l. 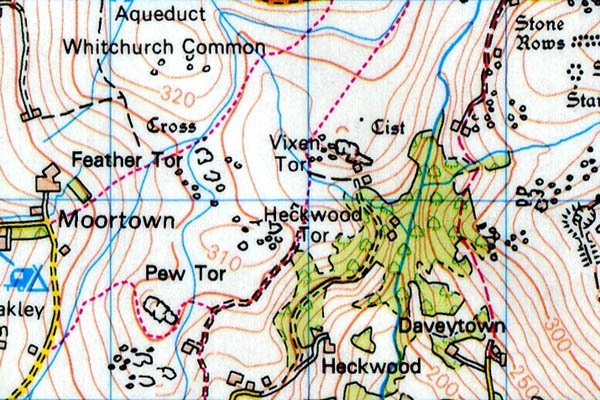 Eastern Tor has been included in this guide because of tis’ name rather than its’ size. 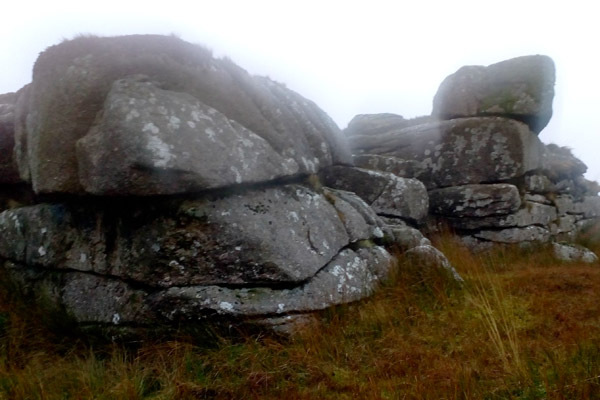 Found just off a very wide path that contours around its’ peak with great views of Hen tor and the Plym valley. The whole area is worth a visit for the history that can be found in the form of dried-up leats, tin-workings stone rows, cists, cairns & Bronze Age settlements. 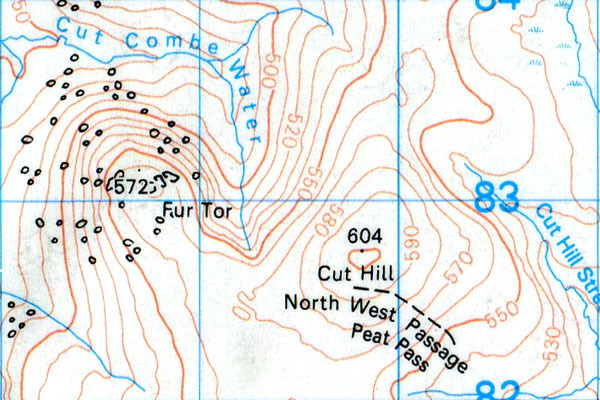 East Mill Tor is located well inside the Okehampton firing range. Check firing times before proceeding to this tor. 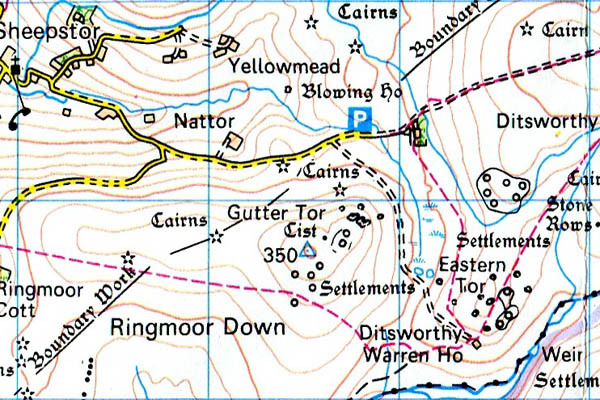 Feather Tor – Grid ref: SX 535741 – Height 313m a.s.l. 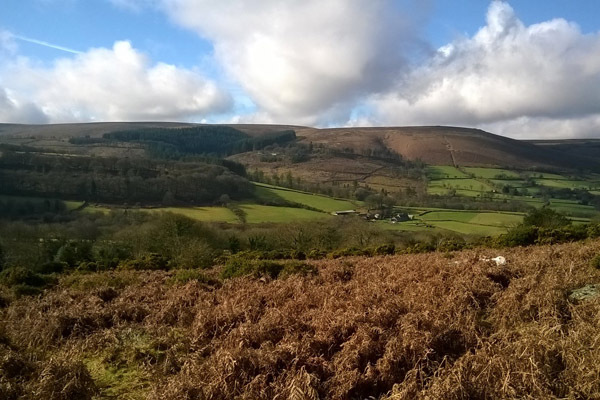 Feather Tor can be found on Whitechurch Common, as part of the gentle ridge line forming Barn Hill, Feather Tor and Heckwood Tor. An unassuming tor from its’ approach via Barn Hill, it has some interesting rock formations (and a rare dartmoor tree!) 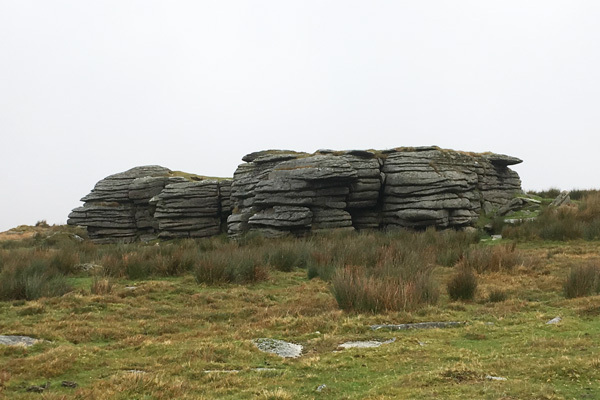 Feather Tor provides an easy and enjoyable walk, which can be readily accessed from several car parks on the B3357 from Tavistock. 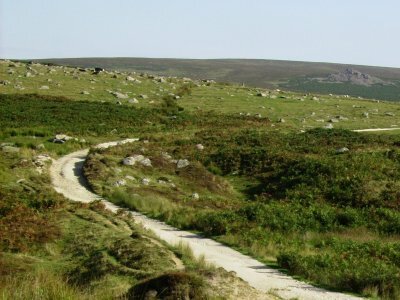 This Tor is certainly recommended as an introductory walk onto the moors. Flat Tor – Grid ref: SX 609816 – Height 540m a.s.l. 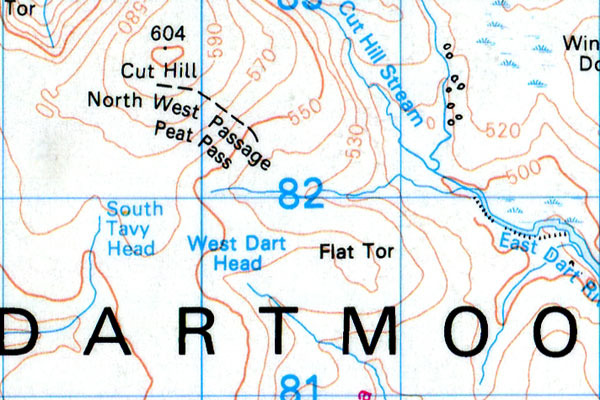 Flat Tor is located just on the eastern-fringe of the Merrivale range danger area. Fox Tor – Grid ref: SX 626698 Height: 438m a.s.l. 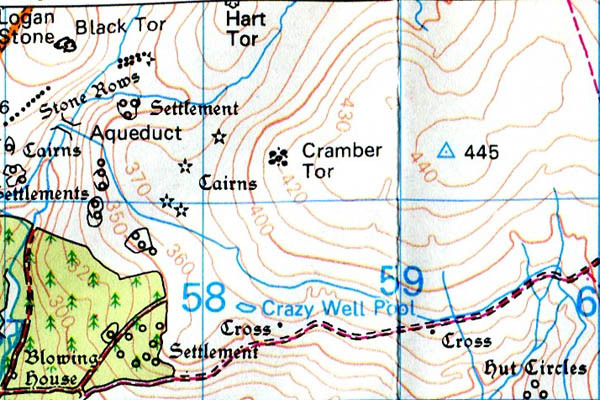 Located on the northern shoulder of Crane Hill. 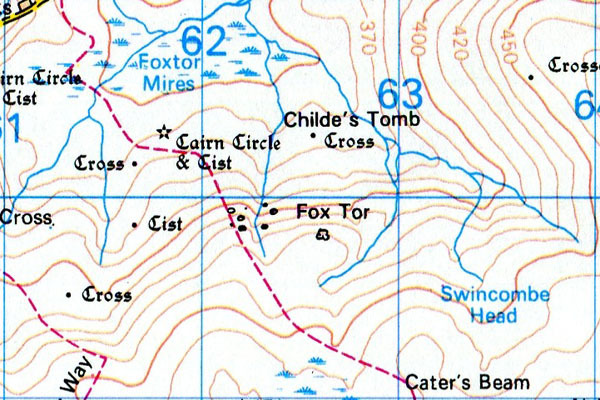 Fox Tor shares its name with that of the locally famous Foxtor Mires, an exceptionally boggy marsh land that has few crossing points that will keep you dry. 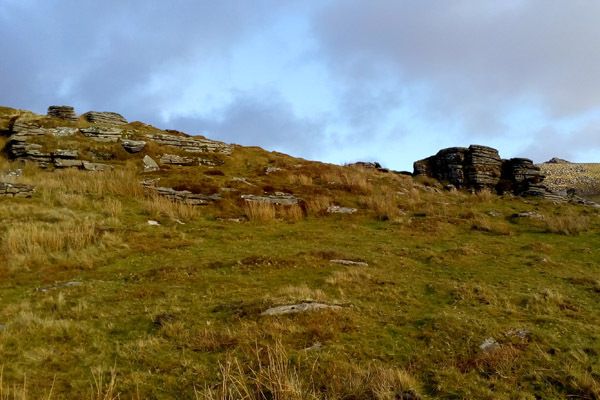 Fur Tor – Grid ref: SX 588830 – Height 572m a.s.l. 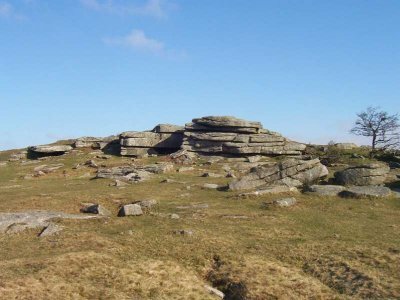 Fur Tor is one of the most remote tors on Dartmoor. 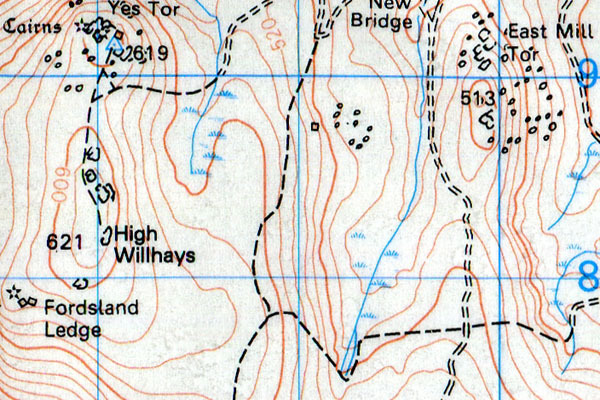 Set deep into the Okehapton range, this Tor should only be challenged with good planning and confident map work. 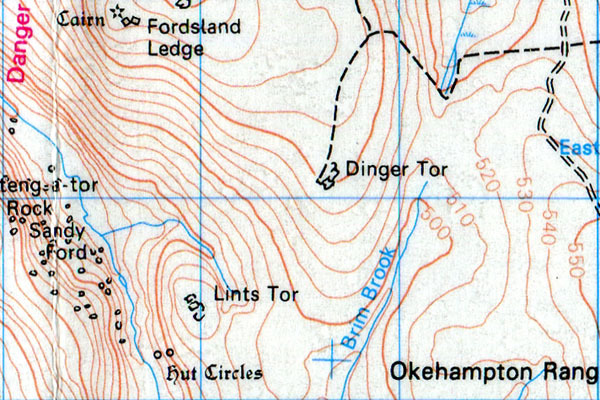 The Tor by tor OS grid reference has been taken at the OS spot height.